Hi there, if you are toking abt the main event, the answer is no. It is not possible. Firstly the tournament will most prob drag to 2nd day. The final table is on the 2nd day. and I dun think there is a 9:45 ferry to harbourfront already unless schedule change again. Last ferry is to tanah merah at 8PM.. If u planning to play in the tournament, why nt stay the nite? There is also a players party in the evening. Can enjoy the free booze haha..
Last edited by Deucesnuts on Thu Feb 03, 2011 5:18 pm, edited 1 time in total. Hi guys, just a few questions. 1) What is the age requirement to play here? 2) What documents do i need to bring? 1) i think it is 18 if i am not wrong..
anyone knows why i cant register for the freeroll on dafapoker? Would love to join one of these tournaments soon. Just needed some more practice and good strategies. what sort of error message are you getting? give me as many details as possible and i'll see what i can do. why cant I registered for the freeroll or $11 satellite on dafa poker? I get the error message : A problem has occurred while trying to register for this tournament, please contact the customer support for more details. I contact the customer support, they wrote: Please be informed that this tournament (Freeroll to LWPS VI Satellite) is only valid to players who sign up through the advertiser (pokerkaki). Are there sit 'n' gos or will there be any of such impromptu tournies on board LW in the future? 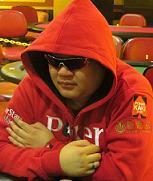 If one final tabled for main event , does it mean tht he/she do not hav time for the cny bounty tourney? 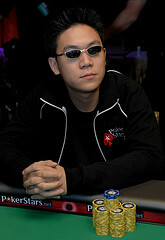 If u final table the main event it does not mean that u will not be able to take part in the Bounty Event. The Main event is set to resume at 11am on Sunday and the Bounty event is scheduled to start at 1pm. Late registration is open till the end of level 3 of this event. Unless u finish in the top 3 in the ME then i think u might miss the Bounty event. Just come up onbaord over the weekend and enjoy the full schedule of events for this CNY period before the LWPS goes on break. donzo wrote: Are there sit 'n' gos or will there be any of such impromptu tournies on board LW in the future?